In 1994, members of a writer’s group in Braintree and volunteers at the then Braintree Hospital Radio decided to form a group to produce quality drama and documentary programming for hospital radio. Essex Hospital Radio Theatre was created. Over sixty productions later, and renamed in 2005 as Essex Audio Theatre, the group continues to thrive. With the Internet now providing a global audience, EAT is unique in providing opportunities for those passionate about radio drama. Broadcaster, journalist and well-known background artist gracing the sets of The Bill, Lovejoy and EastEnders, Dennis founded Hosiprog to provide drama and features for hospital radio, audio magazines for the blind and community radio stations. EAT became part of the Hosiprog family and recordings took place first in the Old House Arts Centre in Brentwood High Street, and latterly in the subterranean studio located in the bowels of Brentwood’s council offices. When Dennis passed away in 2010, EAT faced an uncertain future. 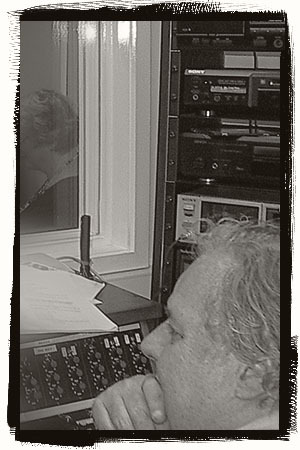 Salvation came in the form of John Rhodes, an experienced sound engineer already involved with the Old Court Radio Theatre. To uphold Dennis’ legacy, all recordings are free to enjoy and they may be broadcast freely by voluntary and community-run radio stations.